NOTE: The following online article is written by Megan Molteni, a staff writer at WIRED, where she covers biology, health, technology and the environment. The update on Project Kidney was posted this past October on Wired.com. In the US, dialysis is a roughly 40-billion-dollar business keeping 468,000 people with end-stage renal disease alive. The process is far from perfect, but that hasn’t hindered the industry’s growth. That’s thanks to a federally mandated Medicare entitlement that guarantees any American who needs dialysis—regardless of age or financial status—can get it, and get it paid for. The legally enshrined coverage of dialysis has doubtlessly saved thousands of lives since its enactment 45 years ago, but the procedure’s history of special treatment has also stymied innovation. Today, the US government spends about 50 times more on private dialysis companies than it does on kidney disease research to improve treatments and find new cures. In this funding atmosphere, scientists have made slow progress to come up with something better than the dialysis machine-filled storefronts and strip malls that provide a vital service to so many of the country’s sickest people. We thought, if people are growing ears on the backs of mice, why can’t we grow a kidney? Now, after more than 20 years of work, one team of doctors and researchers is close to offering patients an implantable artificial kidney, a bionic device that uses the same technology that makes the chips that power your laptop and smartphone. Stacks of carefully designed silicon nanopore filters combine with live kidney cells grown in a bioreactor. The bundle is enclosed in a body-friendly box and connected to a patient’s circulatory system and bladder—no external tubing required. The device would do more than detach dialysis patients—who experience much higher rates of fatigue, chronic pain, and depression than the average American—from a grueling treatment schedule. It would also address a critical shortfall of organs for transplant that continues despite a recent uptick in donations. For every person who received a kidney last year, 5 more on the waiting list didn’t. And 4,000 of them died. There are still plenty of regulatory hurdles ahead—human testing is scheduled to begin early next year1—but this bioartificial kidney is already bringing hope to patients desperate to unhook for good. Kidneys are the body’s bookkeepers. They sort the good from the bad—a process crucial to maintaining a stable balance of bodily chemicals. But sometimes they stop working. Diabetes, high blood pressure, and some forms of cancers can all cause kidney damage and impair the organs’ ability to function. Which is why doctors have long been on the lookout for ways to mimic their operations outside the body. The first successful attempt at a human artificial kidney was a feat of Rube Goldberg-ian ingenuity, necessitated in large part by wartime austerity measures. In the spring of 1940, a young Dutch doctor named Willem Kolff decamped from his university post to wait out the Nazi occupation of the Netherlands in a rural hospital on the IJssel river. There he constructed an unwieldy contraption for treating people dying from kidney failure using some 50 yards of sausage casing, a rotating wooden drum, and a bath of saltwater. The semi-permeable casing filtered out small molecules of toxic kidney waste while keeping larger blood cells and other molecules intact. Kolff’s apparatus enabled him to draw blood from his patients, push it through the 150 feet of submerged casings, and return it to them cleansed of deadly impurities. In some ways, dialysis has advanced quite a bit since 1943. (Vaarwel, sausage casing, hello mass-produced cellulose tubing.) But its basic function has remained unchanged for more than 70 years. Not because there aren’t plenty of things to improve on. Design and manufacturing flaws make dialysis much less efficient than a real kidney at taking bad stuff out of the body and keeping the good stuff in. Other biological functions it can’t duplicate at all. But any efforts to substantially upgrade (or, heaven forbid, supplant) the technology has been undercut by a political promise made four and a half decades ago with unforeseen economic repercussions. In the 1960s, when dialysis started gaining traction among doctors treating chronic kidney failure, most patients couldn’t afford its $30,000 price tag—and it wasn’t covered by insurance. This led to treatment rationing and the arrival of death panels to the American consciousness. In 1972, Richard Nixon signed a government mandate to pay for dialysis for anyone who needed it. At the time, the moral cost of failing to provide lifesaving care was deemed greater than the financial setback of doing so. But the government accountants, unable to see the country’s coming obesity epidemic and all its attendant health problems, greatly underestimated the future need of the nation. In the decades since, the number of patients requiring dialysis has increased fiftyfold. Today the federal government spends as much on treating kidney disease—nearly $31 billion per year—as it does on the entire annual budget for the National Institutes of Health. The NIH devotes $574 million of its funding to kidney disease research to improve therapies and discover cures. It represents just 1.7 percent of the annual total cost of care for the condition. Roy hadn’t. But the more Fissell told him about how stagnant the field of kidney research had been, how ripe dialysis was for a technological overhaul, the more interested he got. 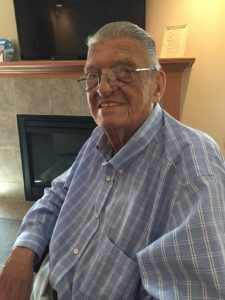 And as he familiarized himself with the machines and the engineering behind them, Roy began to realize the extent of dialysis’ limitations—and the potential for innovation. Limitations like the pore-size problem. Dialysis does a decent job cleansing blood of waste products, but it also filters out good stuff: salts, sugars, amino acids. Blame the polymer manufacturing process, which can’t replicate the 7-nanometer precision of nephrons—the kidney’s natural filters. Making dialysis membranes involves a process called extrusion, which yields a distribution of pore sizes—most are about 7nm but you also get some portion that are much smaller, some that are much larger, and everything in between. This is a problem because that means some of the bad stuff (like urea and excess salts) can sneak through and some of the good stuff (necessary blood sugars and amino acids) gets trapped. Seven nanometers is the size of albumin—a critical protein that keeps fluid from leaking out of blood vessels, nourishes tissues, and transports hormones, vitamins, drugs, and substances like calcium throughout the body. Taking too much of it out of the bloodstream would be a bad thing. And when it comes to the kidney’s other natural functions, like secreting hormones that regulate blood pressure, dialysis can’t do them at all. Only living cells can. It turned out, someone had already tried. Sort of. Back in 1997 when Fissell and Roy were finishing up their advanced training at Case Western, a nephrologist named David Humes at the University of Michigan began working to isolate a particular kind of kidney cell found on the backend of the nephron. Humes figured out how to extract them from cadaver kidneys not suitable for transplant and grow them in his lab. Then he took those cells and coated the inside of hollow fibre-membrane filled tubes similar to the filter cartridge on modern dialysis machines. He had invented an artificial kidney that could live outside the human body on a continuous flow of blood from the patient and do more than just filter. The results were incredibly encouraging. In clinical trials at the University of Michigan Hospital, it improved the mortality rates for ICU patients with acute renal failure by half. There was just one problem. To work, the patient had to be permanently hooked up to half a hospital room’s worth of tubes and pumps. The first time Roy saw Humes’ set-up, he immediately recognized its promise—and its limitations. Fissell had convinced him to drive from Cleveland to Ann Arbor in the middle of a snowstorm to check it out. The trip convinced them that the technology worked. It was just way too cumbersome for anyone to actually use it. The bioartificial kidney is a compact, surgically implanted, free-standing device to treat end stage renal disease (ESRD). It performs the vast majority of the biological functions of the natural kidney. In 2000, Fissell joined Humes to do his nephrology fellowship at Michigan. Roy stayed at the Cleveland Clinic to work on cardiac medical devices. But for the next three years, nearly every Thursday afternoon Fissell hopped in his car and drove three hours east on I-90 to spend long weekends in Roy’s lab tackling a quintessentially 21st century engineering problem: miniaturization. They had no money, and no employees. But they were able to ride the wave of advancements in silicon manufacturing that was shrinking screens and battery packs across the electronics industry. “Silicon is the most perfected man-made material on Earth,” Roy says from the entrance to the vacuum-sealed clean room at UCSF, where his grad students produce the filters. If they want to make a slit that’s 7 nanometers wide, they can do that with silicon every time. It has a less than one percent variation rate. The silicon filters had another advantage, too. Because Roy and Fissell wanted to create a small implantable device, they needed a way to make sure there wasn’t an immune response—similar to transplant rejection. Stacks of silicon filters could act as a screen to keep the body’s immune cells physically separated from Humes’ kidney cells which would be embedded in a microscopic scaffold on the other side. The only thing getting through to them would be the salt and waste-filled water, which the cells would further concentrate into urine and route to the bladder. By 2007 the three researchers had made enough progress to apply for and receive a 3-year $3 million grant from the NIH to prove the concept of their implantable bioartificial kidney in an animal model. On the line was a second phase of funding, this time for $15 million, enough to take the project through human clinical trials. Roy moved out west to UCSF to be closer to the semiconductor manufacturing expertise in the Bay Area. Fissell worked on the project for a few more years at the Cleveland Clinic before being recruited to Vanderbilt while Humes stayed at the University of Michigan to keep working with his cells. But they didn’t make the cut. And without money, the research began to stall. By then though, their kidney project had taken on a following of its own. Patients from all over the world wanted to see it succeed. And over the next few years they began donating to the project—some sent in five dollar bills, others signed checks for a million dollars. One six-year-old girl from upstate New York whose brother is on dialysis convinced her mother to let her hold a roadside garden vegetable sale and send in the proceeds. The universities chipped in too, and the scientists started to make more progress. They used 3D printing to test new prototypes and computer models of hydraulic flow to optimize how all the parts would fit together. They began collaborating with the surgeons in their medical schools to figure out the best procedure for implanting the devices. By 2015 the NIH was interested again. They signed on to another $6 million over the next four years. And then the FDA got interested. That fall the agency selected the Kidney Project to participate in a new expedited regulatory approval plan intended to get medical innovations to patients faster. While Roy and Fissell have continued to tweak their device, helped along by weekly shipments of cryogenically frozen cells from Humes’ lab, FDA officials have shepherded them through two years of preclinical testing, most of which has been done in pigs, and shown good results. In April, they sent 20 agency scientists out to California to advise on their next step: moving into humans. The plan is to start small—maybe ten patients tops—to test the safety of the silicon filter’s materials. Clotting is the biggest concern, so they’ll surgically implant the device in each participant’s abdomen for a month to make sure that doesn’t happen. If that goes well they will do a follow-up study to make sure it actually filters blood in humans the way it’s supposed to. Only then can they combine the filter with the bioreactor portion of the device, aka Humes’ renal cells, to test the full capacity of the artificial kidney. The scientists expect to arrive at this final stage of clinical trials, and regulatory approval, by 2020. That may sound fast, but one thing they’ve already got a jump on is patient recruiting. Nearly 9,000 of them have already signed up to the project’s waitlist, ready to be contacted when clinical trials get the green light. 1Correction: 12:50pm ET The Kidney Project is now slated to begin clinical trials in early 2018. A previous version of this article incorrectly stated they would take place later this year. Changes have also been made to correctly identify the size and timing of grants to the Kidney Project. After being on dialysis on mostly afternoons for nearly 10 months, a schedule change will find me moving into an early-morning slot starting shortly after 7 o’clock on three days each week. While working at various newspapers over a 50-year period, some stops required rather early hours. While at the Indianapolis News in the 1980s, the starting time was 3:30, with a half-dozen edition deadlines to be met one after another methodically by noon. At the Belvidere Daily Republican in Northern Illinois, the day would begin at 4 o’clock in the morning to put together the editorial page, then a quick trip home to clean up for the day, before returning to the office by 7 a.m. I am looking forward to the new treatment time. My wife, Maureen, may differ with the time change, since she will need to rise earlier than usual to transport me to the treatment center about 15 minutes away. We are still searching for a way to get me home, with treatments to be completed generally no later than 11:30. It’s a long walk home — about six miles. Since Maureen is still working full time, her schedule does not always allow her to be available for transportation needs. Maybe I should consider one of those electric and driver-less Tesla vehicles; I don’t think Medicare would take care of that, though. One benefit that might arise from the treatment time change, though, is it will provide me with consistent hours to promote my new book (Dialing in on DI-AL-Y-SIS) at least half a day on the three dialysis treatment days. There I was last Saturday (December 2) looking in the bathroom mirror early in the morning, trying to decide whether to attend the popular Holiday Author Fair at the Eugene & Marilyn Glick Indiana History Center on West Ohio Street. As a retired newspaper vagabond and late-in-life book writer with a recent book release of his own (Dialing in on DI-AL-Y-SIS), I was curious to see what real authors look like. Staged in the Indiana Historical Society Library & Archive, what was promised as “a fun-filled day of mixing, mingling and book signing” was up to its hype. There were dozens of bona fide authors sitting at tables offering their books for public consumption, and some who have been doing so at this annual holiday event for more than a decade. There were many prominent authors among those whose literary work were displayed at the Holiday Author Fair. For example, former Indiana legislator Michael B. Murphy caught my eye. Situated in the History book section, Murphy was touting a book titled The Kimberlins Go to War: A Union Family in Copperhead Country. His story centers on a family that sent 33 fathers and sons, brothers and cousins, to fight for the Union during the Civil War. Ten family members were killed, wounded, or died of battlefield disease, a 30-percent casualty rate that is unmatched in recorded Scott County history. Also in the History section was a likely recognizable name for many. Andrea Neal was offering Road Trip: A Pocket History of Indiana. Neal is a U.S. History and English teacher and also serves as an adjunct scholar and columnist with the Indiana Policy Review Foundation. Until 2003 she was a journalist, most recently at the Indianapolis Star, where she served as reporter, assistant city editor, editorial writer, and editorial page editor. Abe Aamidor, another former journalist (at The Indianapolis News), was found in the Sports books section. He may have had one of the longer titles of the day — Chuck Taylor, All Star: The True Story of the Man behind the Most Famous Athletic Shoe in History. One interesting chat was with H.W. Kondras, a Terre Haute woman who was found in the Nonfiction section where her primary presentation was titled Indiana Crosswords, 3rd Edition. But what really caught my attention was another of her books on display — Detroit Red Wings: Hockeytown USA Trivia. Back in the day of black-and-white television (about 65 years ago), when I was an elementary student, the National Hockey League experimented by bringing its brand for viewing to Central Kansas, where I was born and raised. A screen promo was aired between periods that offered information. I responded and was surprised and pleased that the six-team NHL sent me a rule book and black-and-white player cards of every player on all the teams. The teams back then included the Boston Bruins, Chicago Blackhawks, Detroit Red Wings and the New York Rangers in the United States and two from north of the border, the Montreal Canadiens and the Toronto Maple Leafs. Detroit became my favorite team, and the Red Wings’ goalie Terry Sawchuk was my favorite player. Another quite interesting Nonfiction display belonged to photographers/authors Lee Mandrell and DeeDee Niederhouse-Mandrell and two of their books, Indiana Across the Land and Great Smoky Mountains. Their work is described as breathtaking, with pictures that take those thumbing through the books to many spectacular sites off the beaten path that are both well-known and rarely glimpsed. DeeDee’s parents, Charlene and Jim Niederhouse, and I visit usually three times a week; Charlene and I are both dialysis patients. I was introduced to DeeDee one morning in the lobby of the treatment center. Also in view in the Sports section was the work titled Reborn: The Pacers and the Return of Pro Basketball to Indianapolis. Author Mark Montieth was unable to attend the fair, but seeing his books on a table reminded me of one of his writing efforts that I found particularly compelling. Being an end stage kidney disease patient, I was moved by his personal account of battling cancer, and doing so by opting for treatment other than what is customarily prescribed in the United States. His cancer story is available online at www.markmontieth.com. It’s a very worthwhile read. And so worthwhile was a couple of hours spent at the Holiday Author Fair, where I discovered there is no stereotype for what these book-writing wizards look like. That is sure a great relief for what I saw in the mirror at the start of the day. It may be dangerous for an old man, a retired journalist like myself who is tethered on a dialysis machine three days a week totaling around a dozen hours, to have plenty of available time to conjure up such nonsense as the poetic effort that follows. Since I am also a facebook neophyte, I am offering this October writing that may be of interest to baseball followers, and those who viewed the 2003 movie Bruce Almighty that starred Jim Carrey, Jennifer Anniston, Morgan Fairchild and others. *See below the names of Major League Baseball players listed on 2017 season rosters who are utilized in the following poem. You will note the verses carry an 11-11-7-7-11-11 rhythmic flow in somewhat Shakespearean fashion. Don’t miss the subtlety of the title and the content. These mischievous youngsters out in the light rain. With each one popping a Pill. Three were country Hicks, another a joker. One Wheeler-dealer said he would get them some. Instead, he bought a Gallo jug. Should’a brought some White wine iced down in a pail. Known as a strutting Peacock. A Covey joined courthouse clock. Who found the Hardy teens and got into a tiff. One in a bed of Flowers trying to hush. As if the curfew Bell wasn’t understood. And a Green-eyed Albu(r)querque Weaver. Rounded up the lads for a fill-in court Judge. Would he rule ‘Minor offense’? Or Hand out something quite tense? Another’s Story proved he was a stinker. Or come down hard with a hefty Price to pay? Find a Phillips screwdriver or Allen wrench. Riddle will be solved by the man on the bench. sends these rowdies back to school. With Morton salt in wounds of those in Free-lan(d). Donning judicial robe as a sub-in kind. Which May be his last henceforth. Could be the disGrace of this Bruce Almighty? NOTE: All 30 Major League Baseball teams are included (by 64 last names representing 115 players) somewhere in the poem. 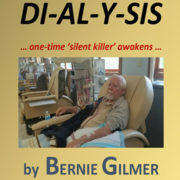 The 16-chapters of the quality 174-page paperback titled Dialing in on DI-AL-Y-SIS, researched and written by retired journalist and end stage renal patient Bernie Gilmer, are designed to provide an account of his first seven months on dialysis and the decade-plus of events leading up to his present fate. To help develop a flavor for the substance of the book, the following excerpts follow in previewing the entertaining, revealing, and informative contents. ** FOREWARD (by Dr. Charlotte Templin, Emeritus, University of Indianapolis): Maintaining a sense of humor is one thing that gets our sometimes “discombobulated” (to use his word) retired journalist through the difficult challenges that seem to pop up with all-too-frequent regularity. He tells us that his book project was therapeutic, and it can be said that the healing he experienced is an offering to the reader. ** INTRODUCTION (by author): What has happened, though, to what is supposed to be those Golden Years? I do have the usual obligatory recliner (and an upstairs rocking chair) and a television remote, but original plans and hopes for retirement did not include seven hospital admissions, a couple of outpatient procedures, a pair of emergency room visits, and at least a half-dozen instances of simply passing out while stone cold sober. ** Chapter 1 (WHAT IS THIS THING CALLED DIALYSIS? ): As this poor ol’ retired (mostly tired) journalist has discovered through his nearly decade-long-and-counting confrontation with kidney disease, this thing called DIALYSIS has brought on a plethora of very personal considerations, discussions, meditations, and ultimate decisions – both on the health/mental side and on the financial end. ** Chapter 2 (ALARMING START ON LATE-IN-LIFE CRUISE): First off, during the electrocardiogram segment – which positioned the bare-chested insurance applicant flat on his back on the dining room table – the family cat suddenly darted across his upper torso and interrupted the readings that the caught-off-guard nurse was recording on her portable equipment. She seemed a little perturbed that the EKG routine had to be restarted. ** Chapter 4 (CRUISING ON FROM PORT TO PORT): While the journey on the kidney disease trail had been advancing in what might be characterized as rather smooth sailing for a few years, the waters were about to become quite choppy. ** Chapter 5 (ARRIVING AT PORT ‘ON DI-AL-Y-SIS’): The 90-minute flight home the next day found the fatigued husband barely able to deplane at Indianapolis International Airport. After struggling to navigate the exit chute into the terminal, he plopped down in an empty chair and waved over his wife, Maureen. “Go get me a wheel chair. This is as far as I can go; I can’t make it to the pick-up area.” That is where son Evin was waiting curbside to drive the weary travelers to their condo. ** Chapter 7 (GUESS WHAT NEW MONTH BLEW IN? ): Unfortunately, an episode regarding the taking of Phoslo – known personally by many emergency room doctors – would produce tales not to be told at the dinner table. ** Chapter 9 (MANTRAS AND LIFESTYLE TRANSITION): That doesn’t mean he was in tune with what was going on. Like many, he was in denial on the first day he would go on dialysis. He did vow to cooperate with all factions involved – doctors at the hospital and ultimately at the DIALYSIS center, the nurses, the technicians, and staff personnel. The only pity party he threw for himself came on the night before his first DIALYSIS session. He stayed awake most of the night trying to figure out a way for this upcoming happening not to happen. ** Chapter 10 (TREATMENT INFO HAS FAMILIAR RING): What became most interesting for this now-avid researcher was learning just how the DIALYSIS treatment process works in removing excess fluid and extracting toxins from the bloodstream. The more he dove into the treatment topic, the more surprised he became that he could relate to and comprehend the hemodialysis process. In previous experiences while working in other industries, he had been exposed to processes that had worked in very similar ways. ** Chapter 11 (DID KID ILLNESS TRIGGER THIS DISEASE? ): After being assigned to DIALYSIS in February of 2017, and while researching end stage renal disease, a one-sentence tidbit in a rather obscure Internet account jumped out like it was shot out of the proverbial cannon. Boom! And there it was: “Long-term complications as a result of SCARLET FEVER include KIDNEY DISEASE, rheumatic heart disease, and arthritis.” Sherlock Holmes could not have been more observant. ** Chapter 12 (JOCKS NOT IMMUNE TO RENAL DISEASE): Sometimes though, fame can be fleeting. It only takes one injury, or maybe one illness for an athlete to take a tumble from the luxury loft to the lowly latrine. It just so happens that one such pro baseball franchise – the Kansas City Royals – which this poor ol’ retired (mostly tired) journalist has been following since the team’s inception in 1969, had a player who typifies one of those who literally, quite literally, can speak in characterizing the rise-and-fall of an athlete. That player would be Florida-born catcher Ed Hearn, who in 1986 reached the penthouse displaying a World Series ring to commemorate a New York Mets world championship. ** Chapter 13 (PICK ONE – ‘ALBATROSS’ OR ‘BLESSING’): When chronic kidney disease patients enter what often becomes the final chapter of their battle with renal illness, the gateway into the world of being on dialysis can create a physical and emotional crossroads. For some, the feeling is like an entire world of burdens has been dropped upon their shoulders. For others, though, they may accept DIALYSIS with a sigh of relief, sensing the upcoming treatments thankfully may extend their number of days on this earth. ** Chapter 14 (IS TO QUIT OR TO DENY DIALYSIS SUICIDE? ): According to the NKF guide, when the choice is made to stop DIALYSIS, the patient will be considered in a failing state and will, therefore, be able to have hospice care. The patient, after having made the decision to stop the treatment, may have a change of mind and can return to being on dialysis. ** Chapter 15 (PERHAPS THERE IS HOPE AHEAD): For those currently on dialysis, and for those who will be introduced to the traditional DIALYSIS regimen in upcoming years, it appears that the pending journey will offer at least a speck of optimism, especially when it comes to research for new treatment devices and for enlightened findings. ** EPILOGUE (by author): Obviously, the full story of my plight with end stage renal disease has yet to play out. No one really knows when it will do so. More information about the book is available by going online at www.diodialysis.com, or by calling the author at 317-410-4811 (Indianapolis). While beginning to gather information back in February (2017) for my new book, titled Dialing in on DI-AL-Y-SIS, some of the favorite resources were fellow patients at the Premier Dialysis center on the Indianapolis (Indiana) south side. The facility’s lobby provides a perfect setting for the exchange of dialogue among patients while awaiting open chairs for treatment sessions. It is a time when patients can get to know each other, with topics ranging from sports and general chit chat, along with a good amount of attention given to how the three-times-a-week treatment regimens are going. More often than not, conversations become interrupted when one party or another is called into the 14-chair treatment room, where sessions begin with patients being hooked up to the dialysis machines to begin a process that will last anywhere from three and one-half hours to sometimes more than four full circuits of the big hand on the room’s wall clocks. When the lobby talk is broken up abruptly, the patient being summoned often receives a send-off chorus of “to be continued.” Sometimes a topic being discussed continues on by those still in the lobby. Sometimes it doesn’t. And likely it won’t be revisited on the next treatment day a couple of days later. Topics tend to come and go. Those gathered in the lobby for the most part are senior citizens. There are several septuagenarians (like me, in their 70s) and a few octogenarians (in their 80s). And there will be occasional older patients yet, that I learned are known as nanogenarians (in their 90s). And then there is Isaac Garcia, a young man in his 40s, who has encountered kidney disease and dialysis way before his time. By coincidence, the Monday-Wednesday-Friday conversationalists include three patients with Kansas ties — nanogenarian Charles Sandy and septuagenarians Charlene Niederhouse and myself — along with several other mostly Indiana folks. Sandy and I grew up in Central Kansas towns about 60 miles apart, Charles in McPherson and me farther west in Great Bend. One of the first people I visited with in the lobby was Steve Decker, a long-time Hoosier resident; we both started dialysis treatments on the same day — February 1 of 2017. It’s always revealing when new acquaintances can substantiate that the world is indeed a small place. Charlene and her husband, Jim (recently nicknamed Dr. Jimbo) Niederhouse, both at one time lived in Wichita, just over 55 miles south of McPherson and about a 90-mile diagonal shot from Great Bend. Generally, Charlene and Mr. Sandy can be found in neighboring chairs during dialysis treatments. During their first lobby conversation, Decker and myself discovered we had been hanging out at some of the same places during our time. A multi-state service manager, Steve represented Modern Photo Offset Supply for 44 years throughout all of Indiana and Kentucky, along with Western Ohio, Southern Michigan, and Eastern Illinois. Along the way, he serviced lithographic products at numerous newspapers, schools, prisons and an assortment of independent businesses. 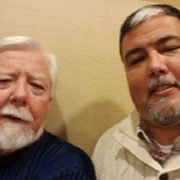 While I worked at newspapers in Shelbyville, Fort Wayne and Indianapolis in Indiana and Hamilton in Ohio for nearly two decades, the two of us never met up — not until that same first day while making our debut on dialysis. Sandy, who grew up in a town with three oil refineries, found it interesting that my dad, Bernice (pronounced Bern-ess) Gilmer was a drilling superintendent for Shell Oil Company back in the late 1930s and early 1940s. As a big-time sports fan, I found it eye-popping when Charles began talking about the Globe Refinery in McPherson and its men’s basketball team that represented the United States at the 1936 Berlin Olympics. Although not having made it into this world until five years later, I never grew up knowing the historical achievement recorded by the Globe Refinery team and its part in winning a gold medal at the Berlin competition. Due to that early conversation with Charles Sandy, I included an account of his hometown’s feat, along with a picture of Charles, in Chapter 10 of Dialing in on DI-AL-Y-SIS. 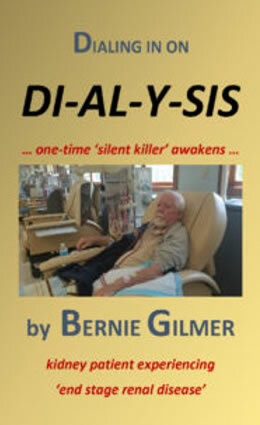 There are many other stories that could be told from those who sit in that Premier Dialysis lobby three times a week. And particularly from those who join in the M-W-F chit-chat exchanges on a regular basis. There are more patients in the lobby than Charles Sandy, the Niederhouses, Steve Decker, Isaac Garcia and myself. There are some patients I know by their first names — Anna Mae, Barry, Bruce, David, Joan, Madonna, Martha, Oliver, patient Pete and his wife Peggy Sue from Mooresville, patient Ron from Edinburgh and his sisters from nearby there — and many others — the O’Charley’s cook, Mr. Flynn (sp), Ms. Lindsey (sp), Mr. Sundhu (sp), and Mr. Singh, for example — I recognize only by their faces. There are even more that I don’t know very well or at all, but we are all (about 40 of us) there three days a week on a common mission — gathered together to receive dialysis treatment, an end stage renal disease process that is designed to prolong our lives. The group since Steve Decker and I began dialysis at Premier nearly 10 months ago has not remained constant — a few patients have opted to go elsewhere for treatment, at least one has been the recipient of a kidney transplant, and unfortunately the names of a couple others have been found in obituary pages. Due to an early shipment, a new book by Indianapolis author and retired journalist Bernie Gilmer, titled Dialing in on DI-AL-Y-SIS, is available for public purchase sooner than expected. The paperback release features the personal account of the author’s seven-month experience on dialysis that is backgrounded by a decade-long journey in reaching the final stage of kidney disease. The author since February 1 has been undergoing treatments three times a week at the Premier Dialysis center on the Indianapolis south side. The 16-chapter, 174-page documentation also contains information on the growth of the multi-billion-dollar dialysis industry in the United States since its inception in the early 1940s. Passages also address topical issues such as: pertaining to whether patients who quit dialysis or refuse treatment are committing suicide, and whether those who are entering dialysis consider the new lifestyle as an albatross or as a blessing. One chapter contains the prospects for hope for those on dialysis and for those with kidney transplants. Another chapter chronicles athletes who have received kidney implantations. And another chapter combines perhaps some humor with definite suffering during the author’s encounters with the side effect of one of his medications, accounts that should not be told at the dinner table. Dr. Charlotte Templin, a retired English professor and former department head at the University of Indianapolis, provided the “Foreward” for this new book. Initial book distribution is being handled by the DIO DI-AL-Y-SIS Company, owned and managed by the author. Promotion is being marketed online at www.diodialysis.com, and the book also is available on Amazon.com. 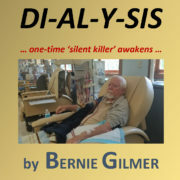 The reader of Dialing in on DI-AL-Y-SIS, Bernie Gilmer’s account of the journey through kidney disease to the threshold of dialysis and beyond that momentous point of embarkation, provides inspiration and entertainment as well as an abundance of valuable information on all things pertaining to kidneys. As such, the book will be very useful to the individual facing dialysis, patients’ families, and all those who want to know more about the kidney, that “large ugly mystery,” as Joseph Heller terms it in his comic novel Catch-22. Gilmer follows the familiar suggestion about what to do with lemons, and what he serves up is refreshing in spite of the seriousness of the subject. Maintaining a sense of humor is one thing that gets our sometimes “discombobulated” (to use his word) retired journalist through the difficult challenges that seem to pop up with all-too-frequent regularity. He tells us that his book project was therapeutic, and it can be said that the healing he experienced is an offering to the reader. The book is many things: what could be called an adventure story; a dissertation on the kidney and the process of dialysis; a meditation that proceeds through free association and brings in moments in American history, sports lore, and episodes in the history of medicine (with a scary account of early insulin injections). In short, there is much that relieves the somber account of that “ugly mystery,” the kidney. Gilmer’s tale begins with his somewhat belated discovery that he has diabetes and proceeds with a useful account that gives an insider’s perspective on that frightening and uncomfortable moment. It carries on through dramatic episodes that might be the basis of a made-for-television movie, including urgent ambulance rides from doctor’s office to hospital, family conclaves about a family patriarch experiencing extreme sweating and chills, and other crises more interesting to read about than to experience. Most important is the valuable information interspersed throughout: how the kidney does its work and how the dialyzer does its work, causes of kidney failure, everything you wanted to know about kidney transplants, as much as anyone could possibly want to know about frequent urination, and, importantly, diabetes and kidney disease in society today. The exhaustive list of early symptoms of diabetes would be useful in every doctor’s waiting room. Finally, the book ends with a note of hope — for some patients, for future progress and for peace for everyone on this journey. 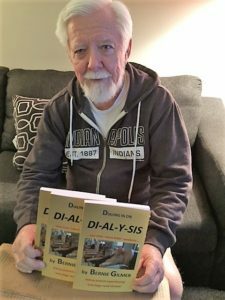 A new book by Indianapolis author Bernie Gilmer – titled Dialing in on DI-AL-Y-SIS – will be available for public purchase nearly a month earlier than previously announced. Look for this personal account of the author’s seven-month experience on dialysis as an end stage renal disease patient to arrive for distribution as early as the last week of October or the first week in November. Availability of the informative and revealing book originally was announced for a late November release. The 16-chapter, 174-page documentation of the author’s more than a decade-long journey in reaching the final stage of kidney disease also addresses topical issues: such as pertaining to whether patients who quit dialysis or refuse treatment are committing suicide, or whether those who are entering dialysis consider the new lifestyle as an albatross or as a blessing. One chapter contains the prospects for hope for those on dialysis and for those with kidney transplants. Another chapter chronicles athletes who have received kidney transplants, and who many are now advocates for bringing attention to kidney disease. And another chapter combines perhaps some humor with definite suffering during the author’s encounters with the side effect of one of his medications, an account that should not be told at the dinner table. Initial book distribution will be handled by the DIO DI-AL-Y-SIS Company, owned and managed by the author, a Perry Township resident on the Indianapolis south side. Promotion is being marketed online at www.diodialysis.com. 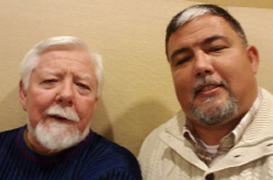 When Indianapolis author Bernie Gilmer needed professional input on two specific topics in his new book titled Dialing in on DI-AL-Y-SIS, he had only to turn to his second-oldest son, Archie Gilmer. The popular topics related to whether going on dialysis is an albatross or a blessing, and whether quitting or refusing dialysis treatments is suicide. Archie is the minister/evangelist of the Williamston Church of Christ in North Carolina, and is also the town’s chaplain for both the police and fire departments. In addition, he is a volunteer policeman and when time allows a part-time online blogger. His varied background following his teen years has enabled him to develop multiple experiences with people in all aspects of life over the past quarter of a century. 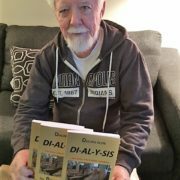 At his father’s request, he responded by crafting a dissertation titled Dialysis and Faith that offered perspectives on the dialysis questions, with excerpts from his writing appearing in two different chapters of the book.